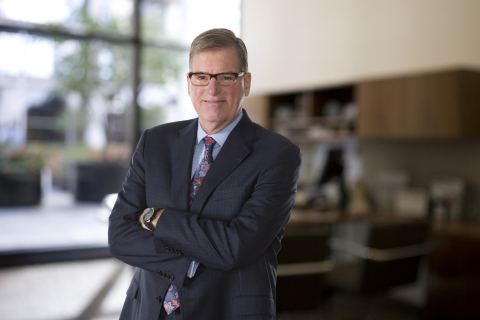 TUCSON, Ariz.--(BUSINESS WIRE)--Speaking at Schwab’s annual EXPLORE™ conference today, Bernie Clark, executive vice president and head of Schwab Advisor Services, applauded advisors for continuing to adapt in an industry undergoing immense change, while also maintaining their focus on a “fixed purpose” of helping investors achieve financial independence. Before an audience of more than 160 independent financial advisors representing some of the largest registered investment advisory firms (RIAs) in the country, Clark articulated a positive outlook for the industry, driven by strong investor attraction to the fiduciary model and opportunities presented by the $23 trillion in assets from households with more than $500K to invest currently residing outside the independent channel1. Clark re-emphasized the need to break through investor confusion by educating investors – as well as legislators, regulators and the next generation of advisor talent – about the differentiators of independent financial advice, providing details on Schwab’s latest efforts to advance the industry. As he commended advisors for their ability to attract talent, achieve scale and create sustainable businesses, Clark reminded advisors that growth opportunities remain robust. According to Schwab’s latest Independent Advisor Outlook Study (IAOS), released today, advisors share Clark’s optimism. Almost three-quarters (73%) of advisors surveyed expect to see growth over the next five years. Most also expect to see increased competition in securing new assets (66%) and feel that the need to differentiate is greater than ever (65%). Clark previewed the company’s new national advertising campaign, created to raise awareness among high net worth investors of the differentiating attributes of independent advisors. Expanding on the success of the RIA Stands for You program, the new campaign significantly increases Schwab’s marketing investment on behalf of independent advisors and includes placements in major print and digital media outlets in addition to a new Independent Advisor Learning Center: www.FindYourIndependentAdvisor.com. 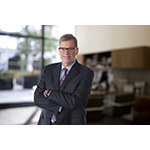 Cybersecurity: Clark spoke of Schwab’s cybersecurity initiative that can help advisors better understand and navigate the risks and compliance demands stemming from cybercrime. Schwab Advisor Services’ Business Consulting Services team has held a series of educational webcasts already this year and continues to roll out a robust cybersecurity preparedness program for advisors. Advocacy: Schwab recently joined with advisors to participate in the Investment Adviser Association’s annual Lobbying Day in Washington, D.C., meeting with lawmakers to discuss critical issues impacting independent advisors. Clark pointed out that advocacy also means raising awareness of the industry with the next generation of talent, mentioning Schwab’s summer internship and university grants program, as well as its support for the first-ever Texas Tech University Financial Planning Academy for high school students, taking place this week. Support for the Foundation for Financial Planning: As part of its commitment to advocate for the independent advisor, Schwab also announced the launch of a matching-gift program to support the Foundation for Financial Planning. Through 2016, Schwab will provide a dollar-for-dollar match for every individual pledge of $5,000 and above, up to $575,000. Schwab will promote the matching program and encourage advisor participation via multiple channels, including the @Schwab4RIAs Twitter handle, using the hashtag #Advisors4Good. Longtime supporters of the Foundation for Financial Planning, Charles Schwab and the Charles Schwab Foundation have committed to surpassing a contribution milestone of $2 million by year-end. Independent investment advisors are not owned by, affiliated with or supervised by Charles Schwab & Co. Inc. (“Schwab”). Schwab Advisor Services™ serves independent investment advisors and includes the custody, trading, and support of Schwab. The Charles Schwab Foundation is a 501(c)(3) nonprofit, private foundation that is not part of Charles Schwab & Co., Inc. or its parent company, The Charles Schwab Corporation. Schwab is not affiliated with the Foundation for Financial Planning or Texas Tech University.